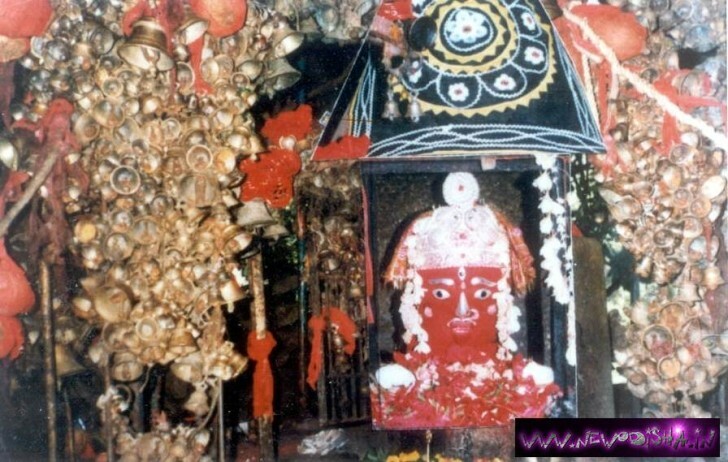 Maa Ghanteswari Temple is situated 33 km south-west of Sambalpur, on the banks of River Mahanadi. Maa Ghanteswari’s Temple is one of the most holiest and beautiful places in Sambalpur. As the name indicates, there are bells (Ghanti) everywhere. People offer bell to Maa after their fulfilment of their wishes. A large number of pilgrims visit this place every day from across the state. This is also a very famous picnic spot. The specialty of this temple area is, thousands of bells hanging all around, the only place of its kind in Odisha. Maa Ghanteswari’s Temple is located at 33 kms south-west of Sambalpur and on the bank of river Mahanadi. It was playing an important role for navigation in the past. It was called a light house without light! The place got its name from goddess Ghanteswari. Earlier there were some big size bells on this spot and with the help of wind those were creating enormous sound which made the navigators aware of this treacherous spot and they never came near it. This area being the conglomeration of three streams of water of river Mahanadi, the water current here is very treacherous forming a whirlpool. Due to this many boats were drowned while nearing this spot. Here the wind blows quite heavily and with the help of it the bells were producing sound. Now after the construction of Hirakud dam, this spot has become safer. With Maa Ghanteswari Temple, a very nice and beautiful dam is also here named Chiplima Dam. Chiplima is known for a natural fall (24.38 mts. In height) harnessed for generating electricity. The place has gained prominence as the second Hydro-Electric Project of the Hirakud Dam. Give Responses for "Maa Ghanteswari Temple of Sambalpur"